Under light grey skies I sleep in. Tucked back in the shallows of Peter Mashoes Creek Spartina rested comfortably all night. And so did I. Steady NE wind, we sail off anchor at 6:40 under mizzen, jib and yesterday's double reefed main. 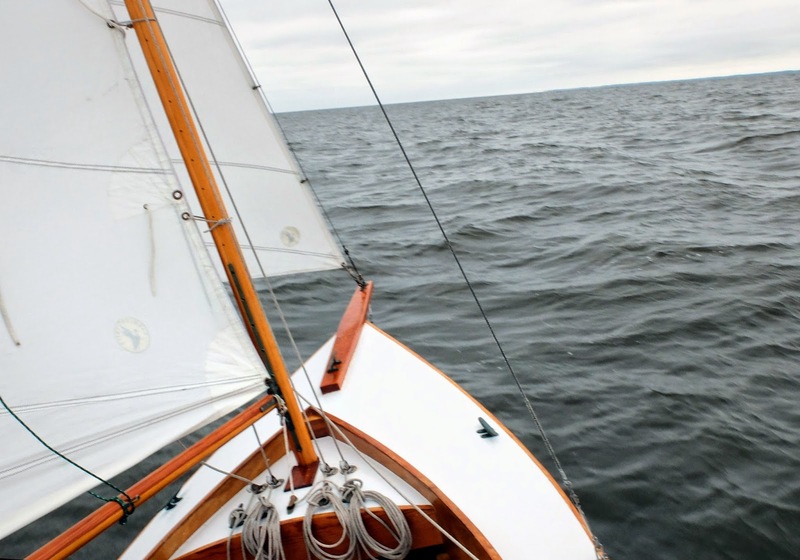 It is a quiet series of tacks into the wind and the incoming tide, centerboard raised about halfway as we work our way through the shallows and past the white sandy beaches. Croatan Sound, then NW past Cahoon Point into Albemarle Sound at 8:00. 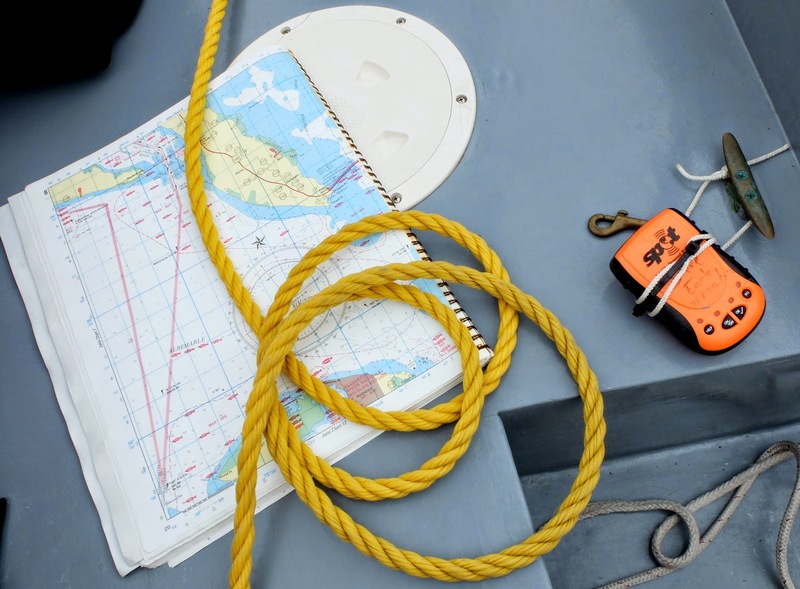 Wind on the beam and we make over five knots through the fish traps and out into the open water. Wind falls off, we round up and full sail by 8:30, 5.5 knots. Wind drops more and we are down to two or three knots as a crabber works pots to the NE. The sun peeks through the overcast. Half way across Albemarle Sound the wind comes and goes. Under power, under sail, then power again. The wind fills in late morning, the huge blimp building on the Pasquotank River shows above the tree line. I'm surprised by a large motor vessel coming up from behind. Tuna salad, crackers and a cup of fruit for lunch. 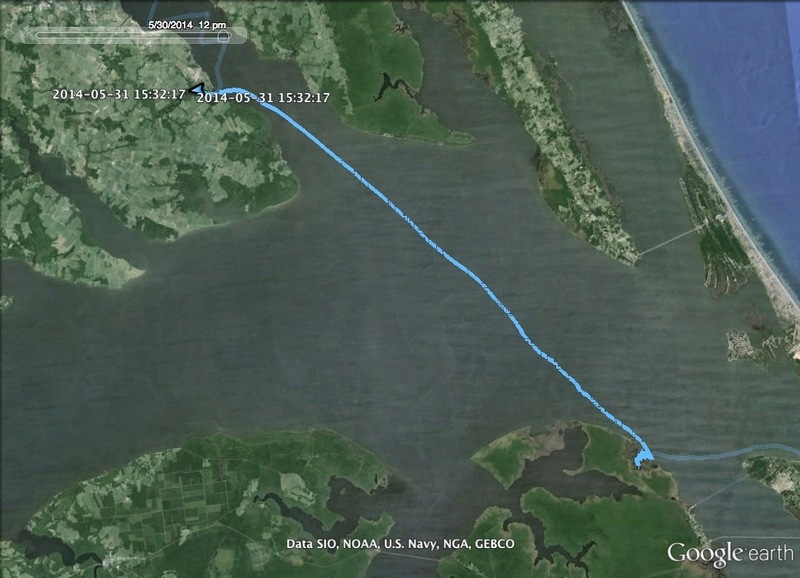 We enter the wide mouth of the Pasquotank just before noon, 5.5 knots. 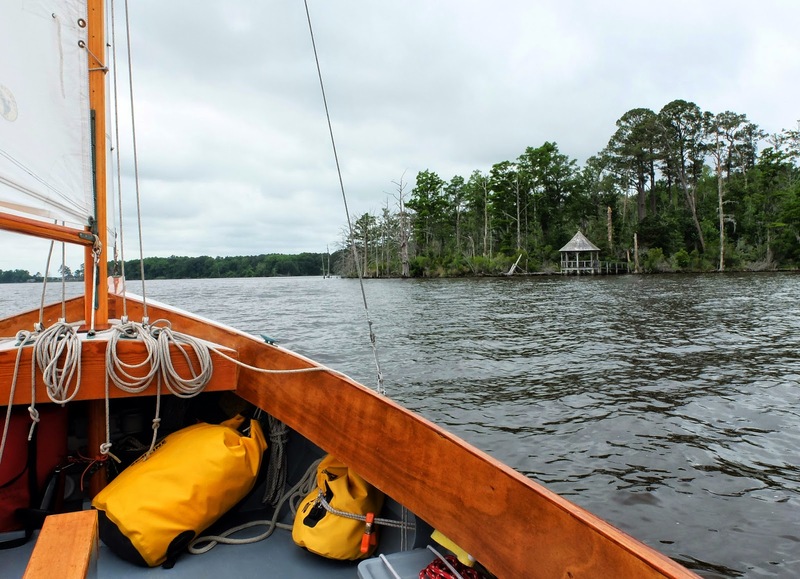 Steady, relaxing sailing to Newbegun Creek on the south shore of the river. Confusing markers, at least to me. Maybe privately maintained, I try to follow them, but found myself outside the channel and work my way in slowly. A gazebo sits on a point to the west, a house and then farmland on the opposite shore. 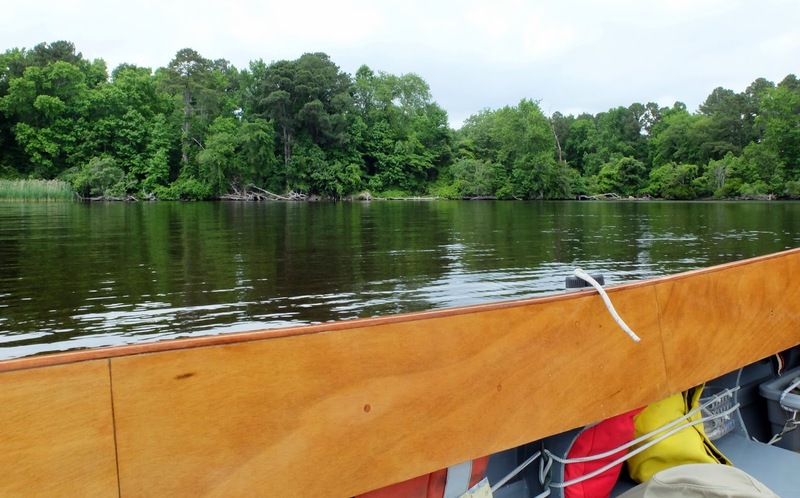 We sail in under winds blocked by tall trees, tacking back and forth looking for a nice anchorage. It is still early afternoon. Finally, a place behind the trees, around the corner from the homes and peaceful in the afternoon light. Two fisherman in a jon boat work the tree stumps on the far side of the creek. Anchor down, I tilt my hat over my eyes and drift off to sleep. does green mean go? does on mean off?